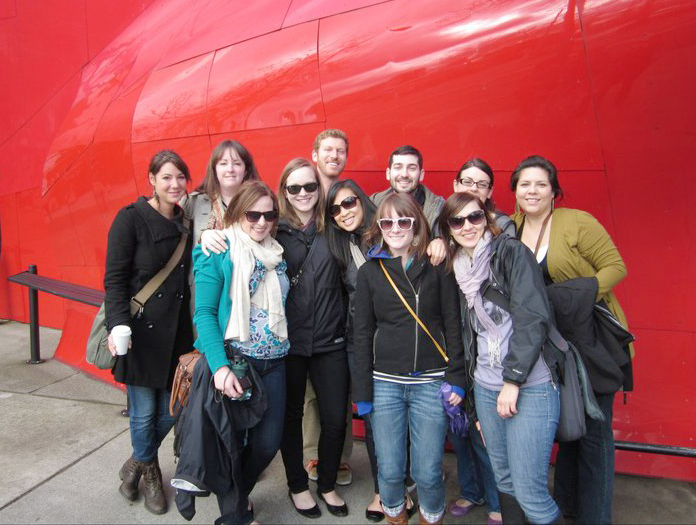 Current University of Oregon graduate students in all departments interested in professional development and engagement in the arts sector are welcome to join the Emerging Leaders in the Arts Network (ELAN). Membership is FREE. Volunteer for one ELAN event per academic year. Complete our FREE ELAN Membership Form. Experience in networking, event planning, public speaking, fundraising, and more. Opportunity to participate in the annual ArtsVenture, a three-day excursion to a location outside of Eugene to connect with arts and culture professionals and organizations. The completed form can be emailed to elan@uoregon.edu or submitted to Halley Perry (Administrative Chair) at any ELAN event.